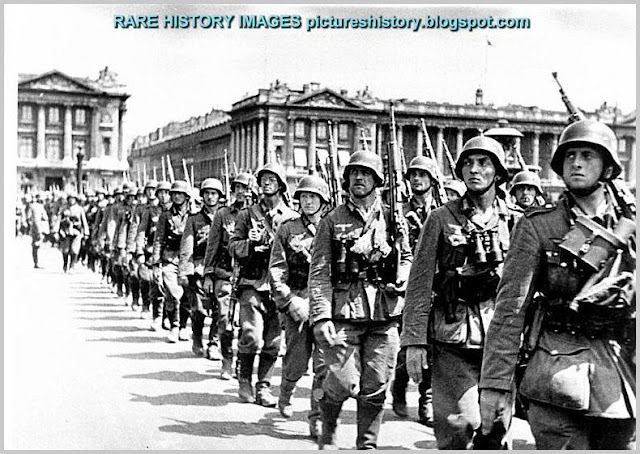 The Battle of France was the German invasion of France and the Low Countries during World War II. The battle took place from May 10 to June 14, 1940, and consisted of two main operations. In the first, Fall Gelb, German for "Case Yellow," German armored divisions made their way through the Ardennes to cut off and surround the Allied forces that had moved into Belgium. 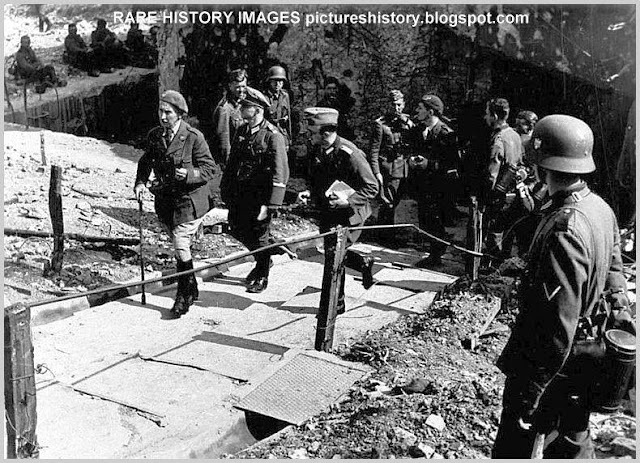 In the second operation, called Fall Rot in German (Case Red), carried out from June 5, German troops outflanked the Maginot Line to attack the larger territory of France. Although the Allied armies were quickly and thoroughly defeated, the British Expeditionary Force and French Army units were evacuated from Dunkirk in Operation Dynamo. 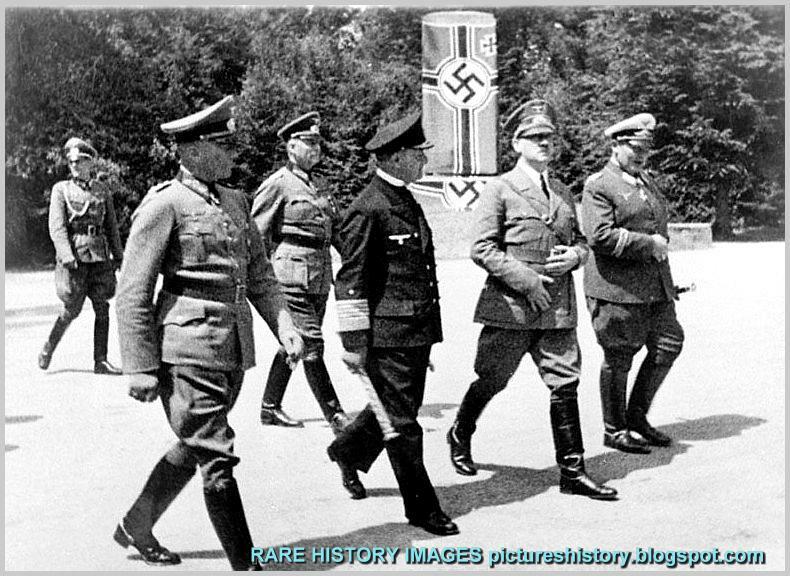 After the invasion of Poland in September 1939, Hitler had hoped that France and the United Kingdom would accept the new political order and make peace with Germany. This was very important to him as Germany’s stock of raw materials was critically low at that moment and Germany depended on supplies from the Soviet Union such as oil. As this situation was uncomfortable for him for ideological reasons, he made a peace offer to both Western countries on October 6. 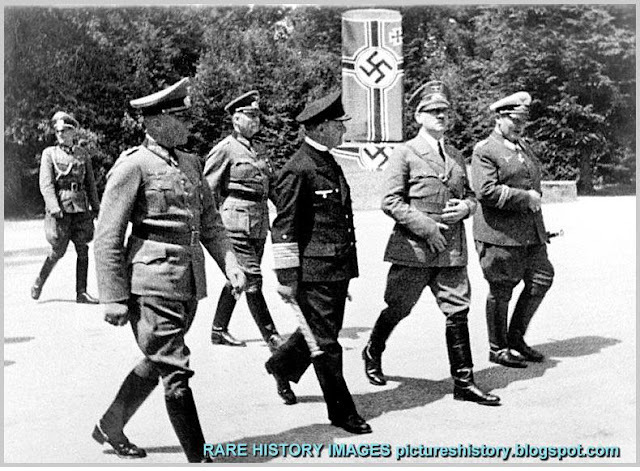 But he also formulated a new military strategy in case their reply was negative: the Führer-Directive Number 6, which was a plan of invasion of the Low Countries and part of French territory. 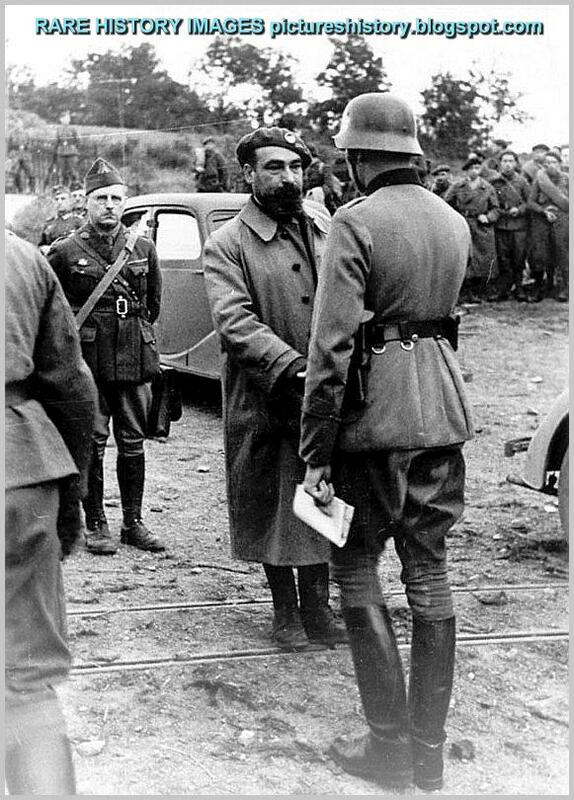 Great Britain refused Hitler’s offer of peace on October 10, 1939, and France did the same on October 12. Franz Halder, the chief of staff of the German Army High Command, presented the first plan for Fall Gelb, "Case Yellow", on October 19. Fall Gelb was the pre-war codename of plans for campaigns in the Low Countries. 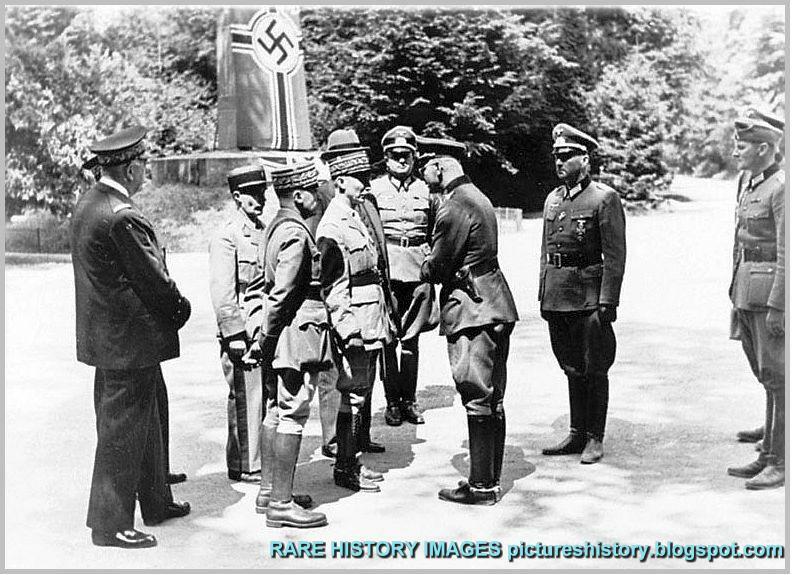 However, Hitler was very disappointed by Halder’s plan as it would be longer and more costly and difficult than he had thought. General Gerd von Rundstedt, the commander of Army Group A, and Lieutenant-General Erich von Manstein also disagreed with it. An alternative operational plan had to be devised. 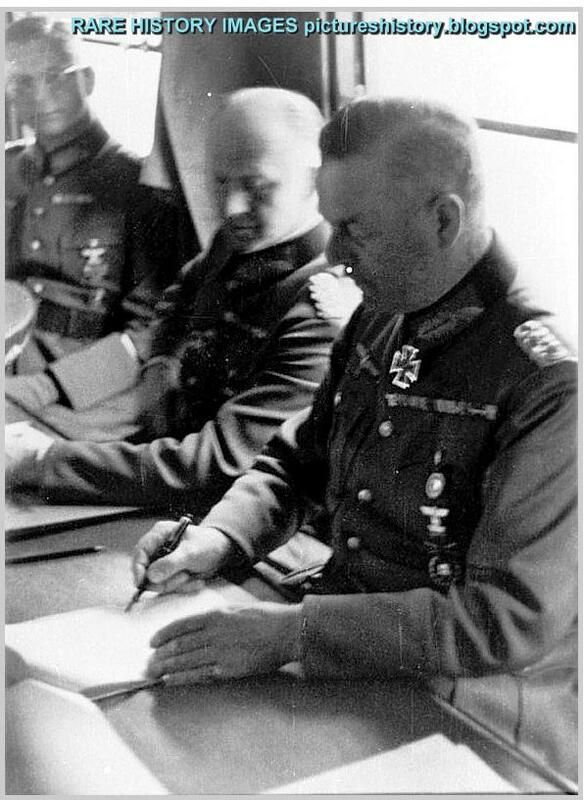 Erich Von Manstein considered that, if he involved Heinz Guderian in his plans, the tank general may come up with some role for his Army Corps to play in it, and this might then be used as a decisive argument to relocate XIXth Army Corps from Army Group B to Army Group A, much to the delight of von Rundstedt. At this moment von Manstein’s plan consisted in a move from Sedan to the north, right in the rear of the main Allied forces, to engage them directly from the south in full battle. But Guderian proposed a radical and new plan; the entire Panzerwaffe should be concentrated at Sedan. This concentration of armor should move to the west, to execute a swift, deep, independent strategic penetration towards the English Channel without waiting for the main body of infantry divisions. 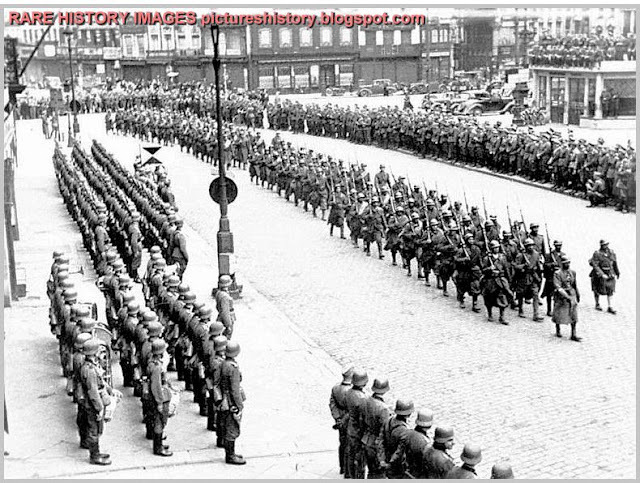 This would lead to a strategic collapse of the enemy, avoiding high number of German casualties. German forces take over the Maginot Line from the French. The Line did not deter the Germans. Their strategy was to bypass it totally. 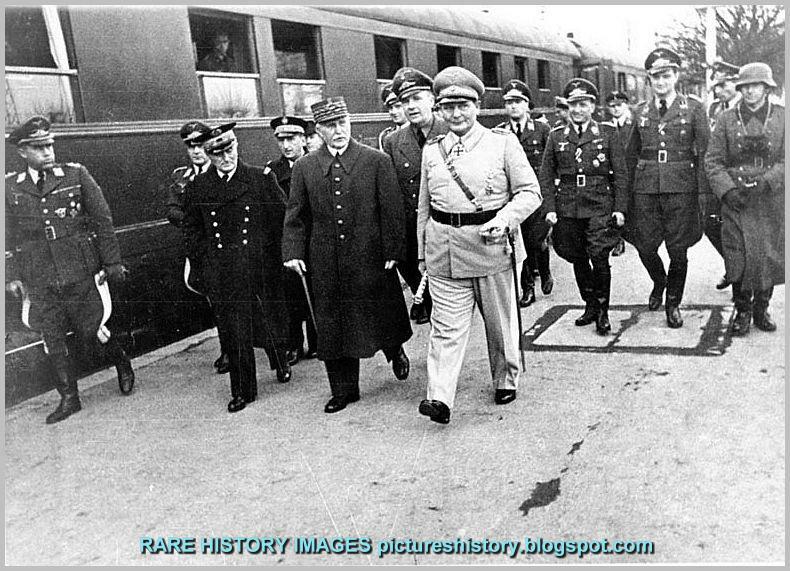 Von Manstein agreed with Guderian’s plan. He only had one objection; it would create an open flank of over 220 miles, vulnerable to French counterattack. Guderian convinced him that this could be prevented by launching simultaneous spoiling attacks to the south by small armored units. Erich von Manstein drew a final plan for an invasion of France. It was almost similar to Guderian’s view; the main attack would be carried out through the Ardennes by the panzer divisions of Army Group A under the command of Gerd von Rundstedt. This heavily wooded mountainous region with poor road network, implausible as a route for an invasion. Thus, an element of surprise would be present. To help to ensure this operation, the German Army Group B would have to launch an attack into Belgium and the Netherlands to give the impression that it would be the main German attack, and draw Allied forces into Belgium, into the developing encirclement and hold them there. For this, three of the ten available armored divisions were allocated to Army Group B. 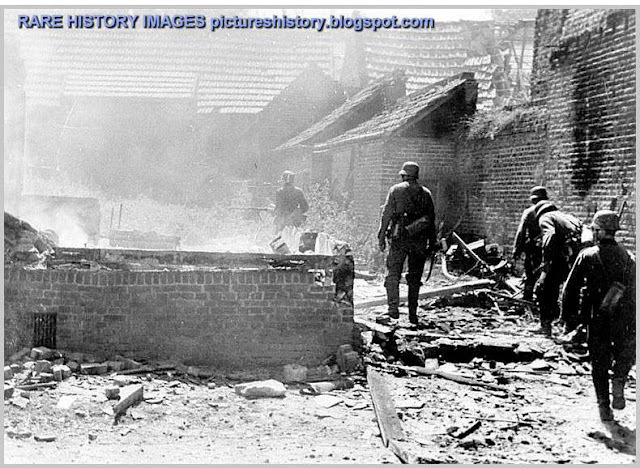 The battle of France began with Operation Fall Gelb, during the night of May 10, 1939, when Army Group B launched its feint offensive into the Netherlands and Belgium. 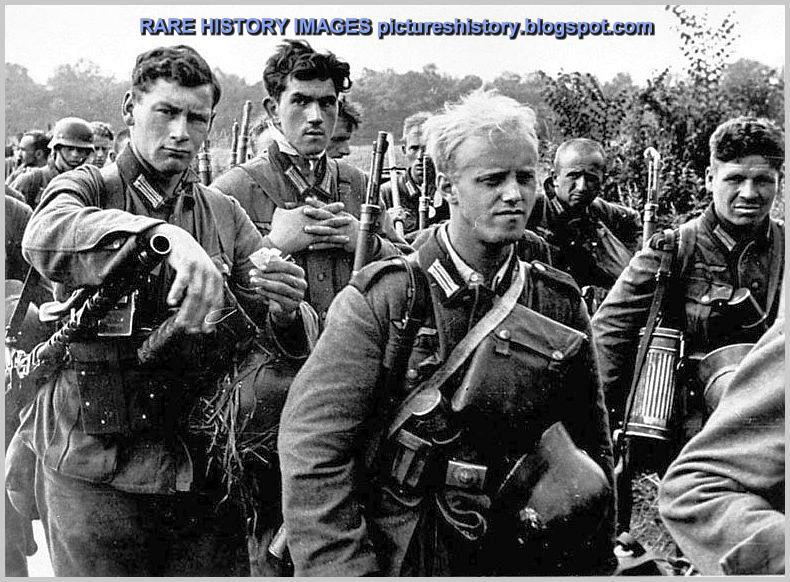 German paratroopers from the 7th Flieger and 22. 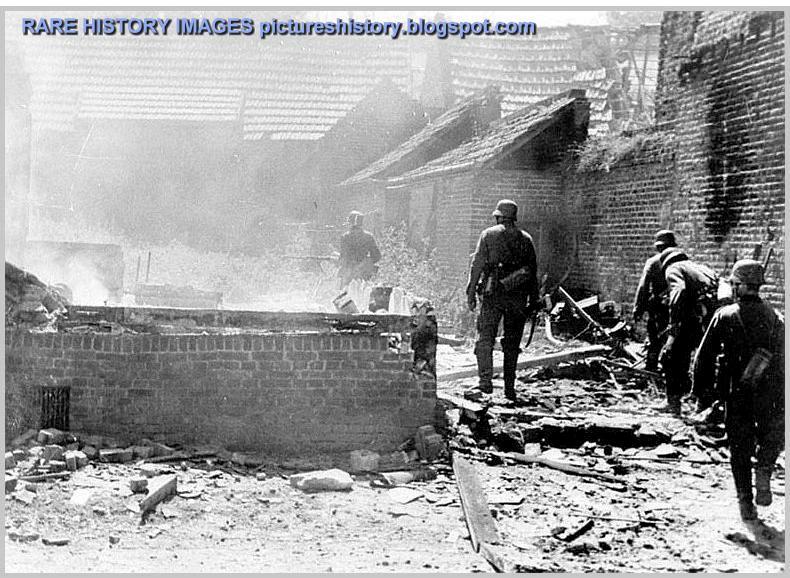 Luftlande Infanterie-Division under the command of Kurt Student executed that morning surprise landings at The Hague, on the road to Rotterdam and against the Belgian Fort Eben-Emael in order to facilitate Army Group B’s advance. The French command reacted quickly by sending its 1st Army Group north. This move committed their best forces. When the French 7th Army crossed the Dutch border, they found the Dutch in full retreat. 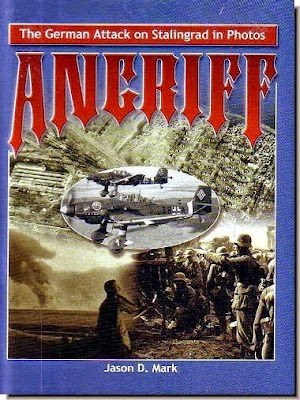 The French and British air command was not as effective as their generals had anticipated, and the Luftwaffe quickly obtained air superiority, disrupting Allied communication and coordination. With air superiority over the Netherlands, the German 18th Army secured all the bridges in and toward Rotterdam. Although German paratroopers were unable to capture the main airfield, Ypenburg, in time for the airborne infantry to land safely in their Junkers, they captured quickly the auxiliary airfield of Ockenburg. The airfield of Valkenburg was likewise quickly taken. 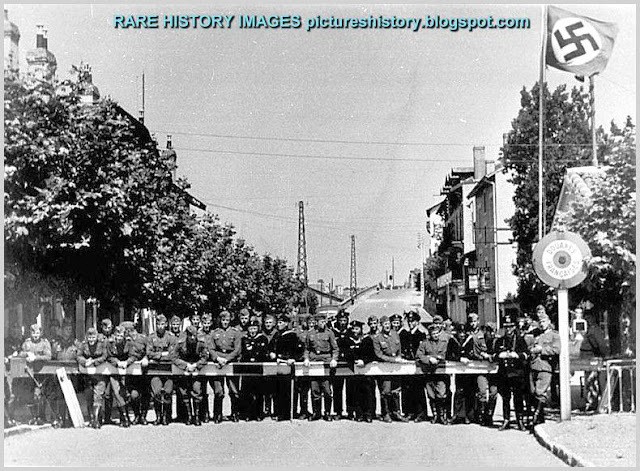 Meanwhile, the 9th Panzer Division reached Rotterdam on May 13. The French 7th Army had failed to block the German advance. That same day in the east, after the Battle of the Grebbeberg in which a Dutch counter-offensive to contain a breach had failed, the Dutch retreated from the Grebbe line to the New Water Line. 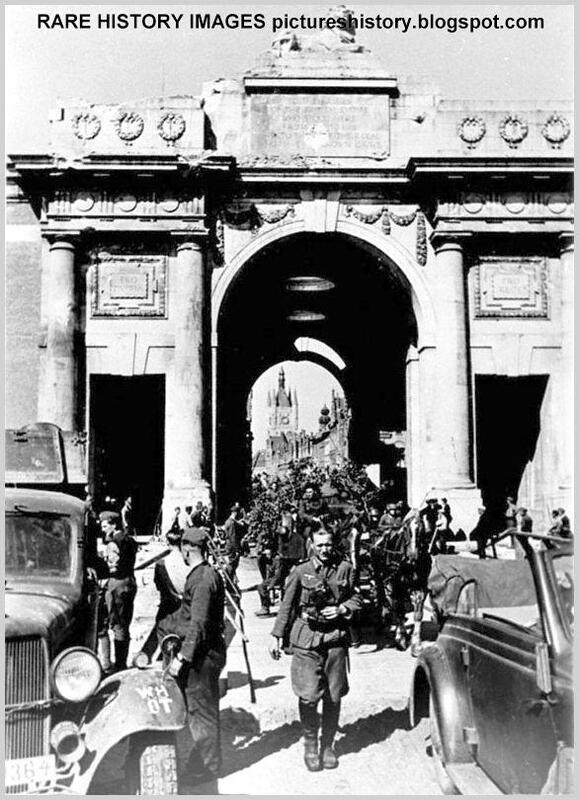 The Dutch Army surrendered in the evening of May 14, after the Bombing of Rotterdam. The capitulation document was signed on May 15. The Germans were able to quickly establish air superiority over Belgium, too. But the main approach route of the German 6th Army was blocked by Fort Eben-Emael, which was the largest fortress in Belgium, controlling the junction of the Meuse and the Albert Canal. 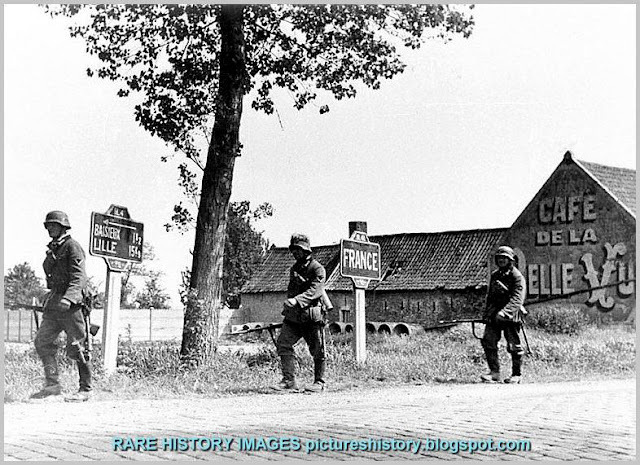 This Belgian stronghold could stall the German advance and it was of the upmost importance that the main body of Allied troops was engaged before Army Group A would establish bridgeheads at the Sedan. 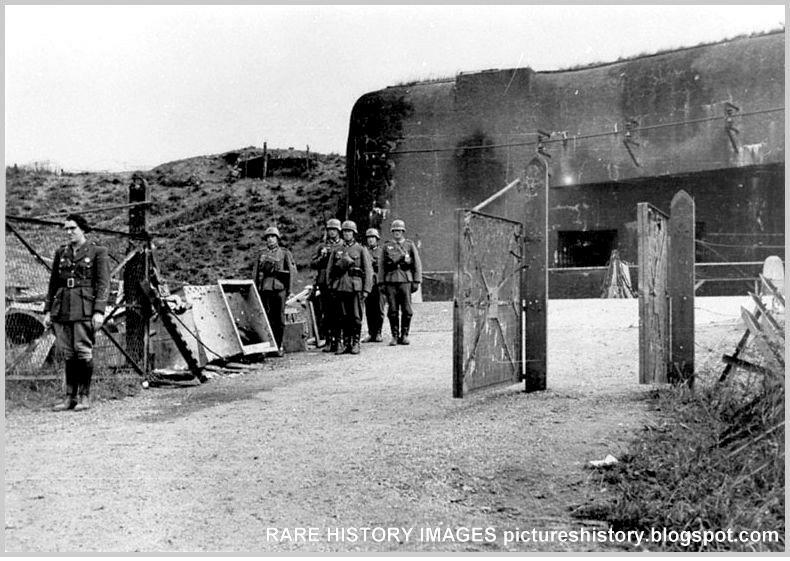 To surmount this obstacle, the Germans resorted to unconventional means in the Battle of Fort Eben-Emael. In the early hours of May 10 gliders landed on the roof of Fort Eben-Emael unloading assault stormtroops that disabled the main gun cupolas with hollow charges as the bridges over the canal were seized by German paratroopers. Shocked by a breach in its defenses just where they had seemed the strongest, the Belgian Supreme Command withdrew its divisions to the KW-line five days earlier than planned. When the German 3rd and 4th Panzer Divisions was launched over the newly-captured bridges in the direction of the Gembloux Gap, two French Light Mechanized divisions, the 2nd DLM and 3rd DLM were ordered to advance to meet the German armored forces to cover the entrenchment of the French First Army. This armed encounter resulted in the Battle of Hannut, which took place between May 12 and May 13. It was the largest tank battle until then, with about 1,500 armored fighting vehicles taking part. On the second day the Germans were able to penetrate the screen of French tanks. At the center, the progress of German Army Group A was to be delayed by Belgian motorized infantry and French Mechanized Cavalry divisions which were advancing into the Ardennes. When these forces encountered the large number of German tanks, they were decimated and the remainders quickly gave way and withdrew behind the Meuse. The German advance was only hampered by the sheer number of troops trying to force their way through the poor road network. 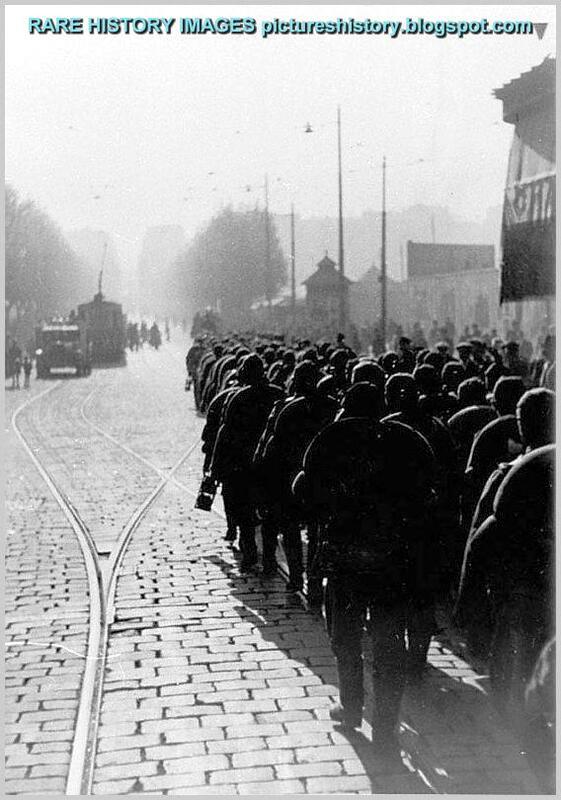 Kleist’s Panzer Group had more than 41,000 vehicles. French air force was far too weak to challenge German air superiority so close to the German border. 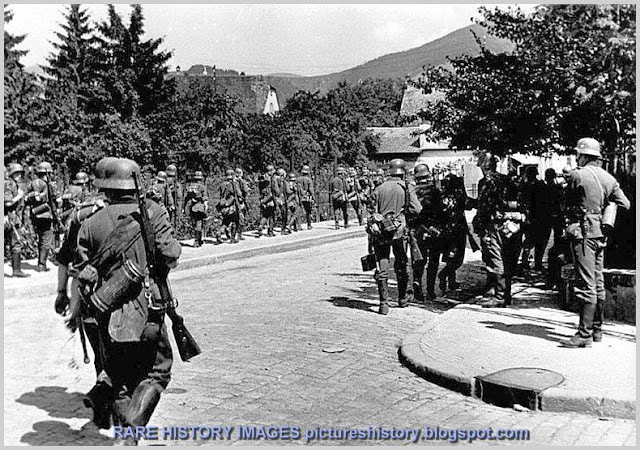 The German forces reached the Meuse line late in the afternoon of May 12, 1940. To cross the Meuse, three major bridgeheads were established: at Sedan in the south; at Monthermé, twenty kilometres to the northwest; and at Dinant, another fifty kilometres to the north. 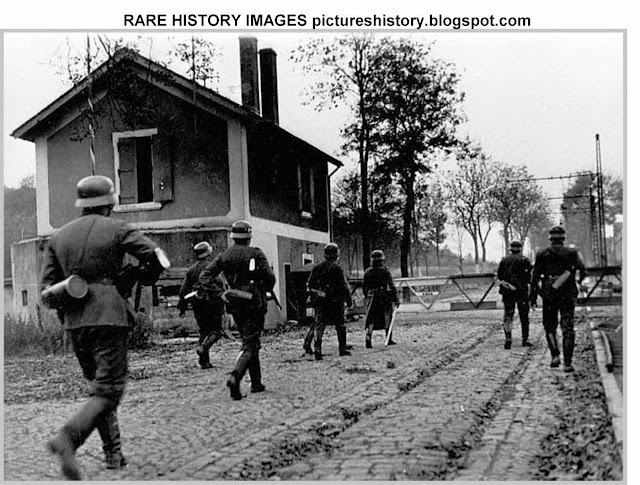 On May 13, the German XIX Army Corps forced three crossings near Sedan, carried out by the motorized infantry regiments of 1st, 2nd and 10th Panzer Divisions, and reinforced by the elite Großdeutschland Infantry Regiment. 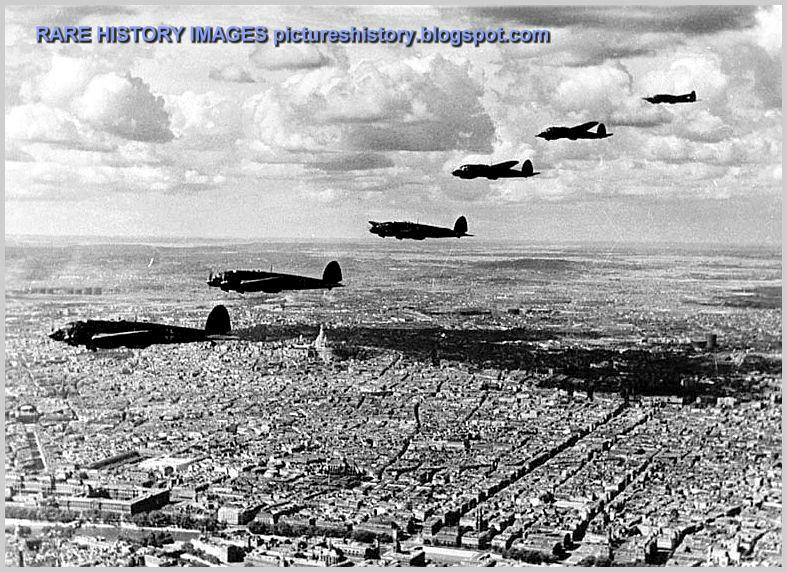 Instead of slowly massing artillery as the French expected, the Germans concentrated most of their tactical bomber force to punch a hole in the French lines. The Großdeutschland Infantry Regiment penetrated through gap in the line of French bunkers in the center of the river bend. The French were routed and their supporting artillery batteries personnel had fled before them. At a cost of a few hundred casualties the German infantry had penetrated up to 5 miles into the French defense belt by midnight. The disorder that had started at Sedan spread throughout the French lines as groups of exhausted French soldiers began to retreat fast. 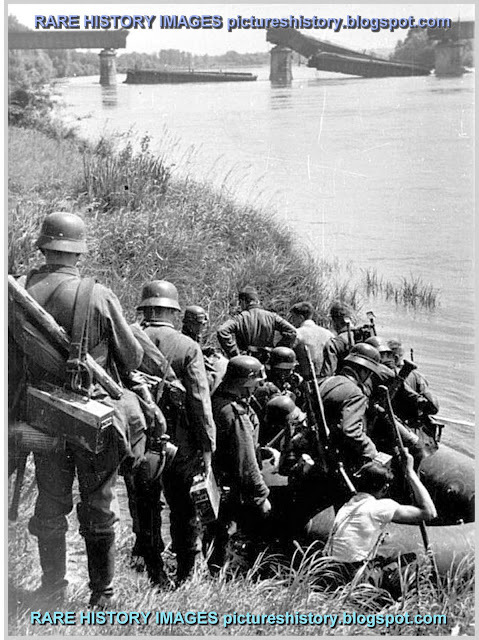 In the morning of May 14, two French tank battalions and a reserve regiment launched a counterattack on the German bridgehead, but it was repulsed at Bulson by the first German Armored Division and anti-tank units which had been rushed across the river from 07:20 on the first pontoon bridge. 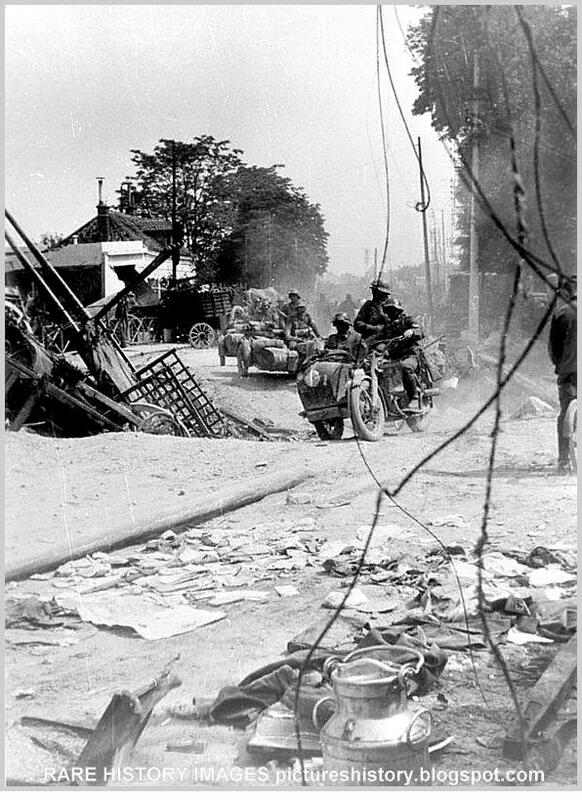 Through heavy fighting, Guderian’s motorized infantry dispersed the reinforcements of the newly formed French 6th Army in their assembly area west of Sedan on May 15. This undercut the French 9th Army southern flank by 30 miles, forcing the 102nd Fortress Division to leave its positions. 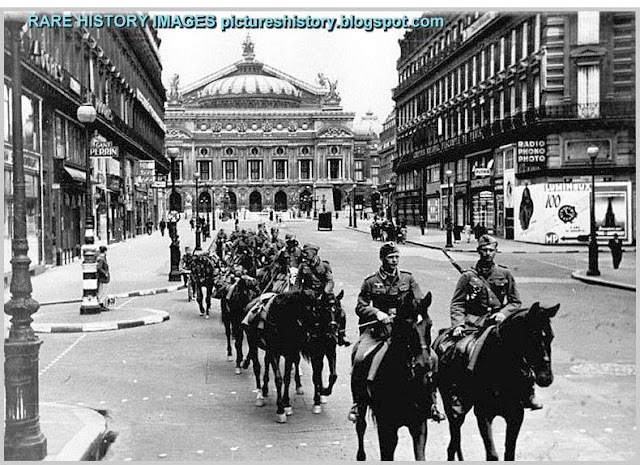 The French Second Army had been seriously mauled and crippled and the French 9th Army began to disintegrate completely. 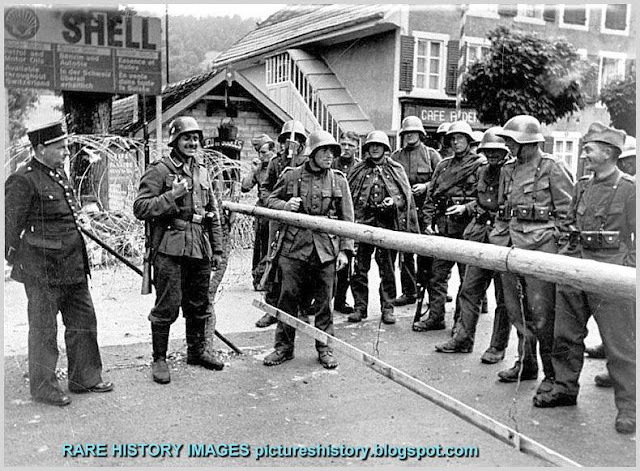 The German 7th Armored Division, under the command of Erwin Rommel, broke free through the crumpling French forces. The French High Command was reeling from the shock of the sudden German offensive and stung by a sense of defeatism. On the morning of May 15, French Prime Minister Paul Reynaud called Winston Churchill and said that they had been defeated and lost the battle. Colonel Charles de Gaulle hastily reorganized some French forces and attempted to launch an attack from the south which achieved a measure of success. However, de Gaulle’s attacks of May 17 and May 19 did not even make a dent in the German offensive. In the north the Allied troops retreated to the river Scheldt which exposed their right flank to the 3rd and 4th Panzer Divisions. The Panzer Corps, which had stopped for refueling, started moving again, smashing through the weak British 18th and 23rd Territorial Divisions. The Panzer Corps took Amiens and secured the westernmost bridge over the river Somme at Abbeville. This move isolated the British, French, Dutch, and Belgian forces in the north. That evening, a reconnaissance unit from 2nd Panzer Division reached Noyelles-sur-Mer, 62 miles to the west. From there they were able to see the estuary of the Somme flowing into the English Channel. Fliegerkorps VIII committed its Stukas bombers StG 77 and StG 2 to covering this dash to the channel coast. It was the Stukas’ finest hour as these units responded through an extremely efficient communications system to the Panzer Divisions’ every request for support. These planes effectively blasted a path for the Army. The Ju 87s were particularly effective at breaking up counterattacks along the flanks of the German forces, destroying fortified positions and disrupting rear-area supply chains. 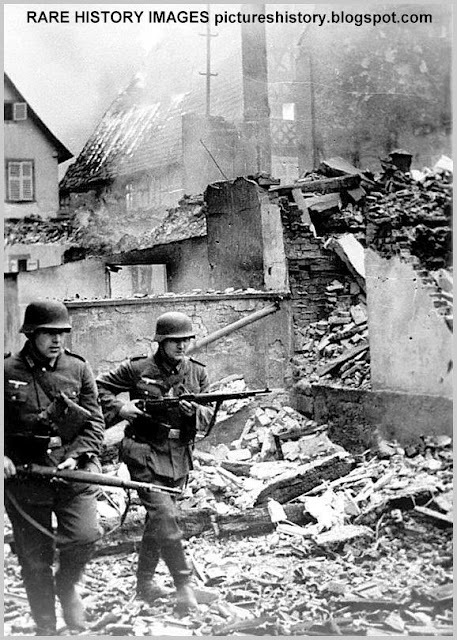 On May 24, 10th Panzer Division attacked Calais. The British 3rd Royal Tank Regiment, equipped with cruiser tanks, and the 30th Motor Brigade had been hastily landed 24 hours before the Germans attacked. The Siege of Calais lasted for four days and the British defenders were finally overwhelmed and surrendered at approximately 16:00 on May 26. The 1st Panzer Division was ready to attack Dunkirk on May 25, but Hitler ordered it to halt the attack the day before. This was as one of the most controversial decisions of the war. Surrounded, the British, Belgian and French armies launched Operation Dynamo which evacuated Allied troops from Dunkirk, beginning on May 26. About 198,000 British soldiers were evacuated in Operation Dynamo, along with nearly 140,000 French. On 5 June, the German Forces renewed their offensive on the Somme. This attack destroyed the scarce reserves that the French commander, Maxime Weygand, had put between the Germans and the capital, and on June 10, the French government fled to Bordeaux, declaring Paris an open city. 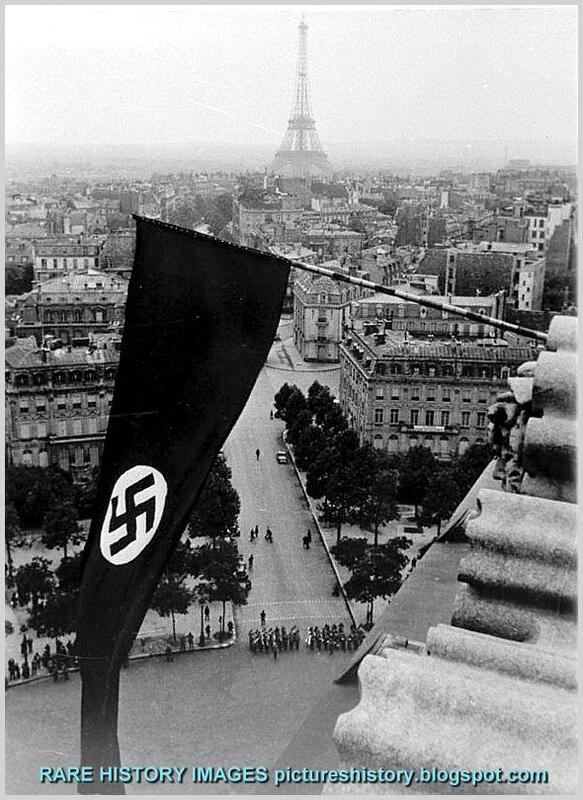 On June 14, 1940, Paris fell to the Wehrmacht. It was the second time in a century that Paris had been taken by German forces; the first time took place during the Franco-Prussian War of 1870-1871. 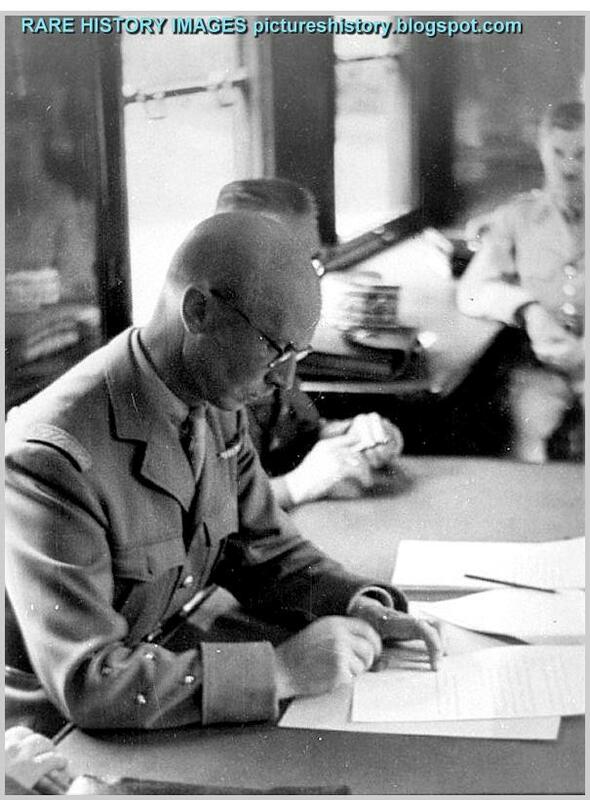 When the Prime Minister Paul Reynaud resigned, he was succeeded by Marshal Philippe Pétain, who delivered a radio address to the French people announcing his intention to sign an armistice with Germany. 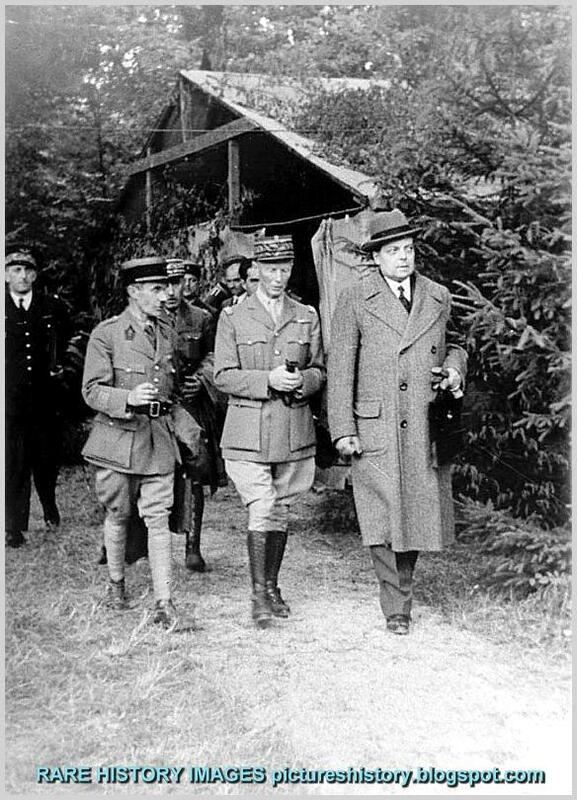 When Hitler received a message from the French government that they wanted to negotiate an armistice, he selected the Compiègne Forest as the site for the negotiations. Compiègne had been the site of the 1918 Armistice, which had ended World War I and humiliated Germany. So, Hitler regarded the choice of location as a supreme moment of revenge for Germany over France. 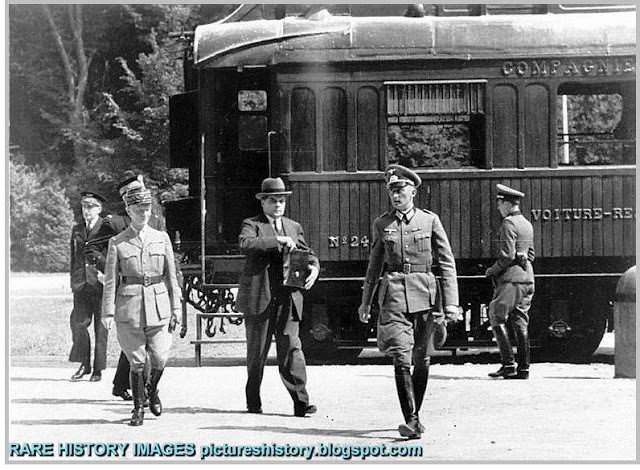 The armistice was signed on June 22, 1940, in the very same railway carriage in which the 1918 Armistice was signed. The carriage had been removed from a museum building and placed on the precise spot where it was located in 1918. 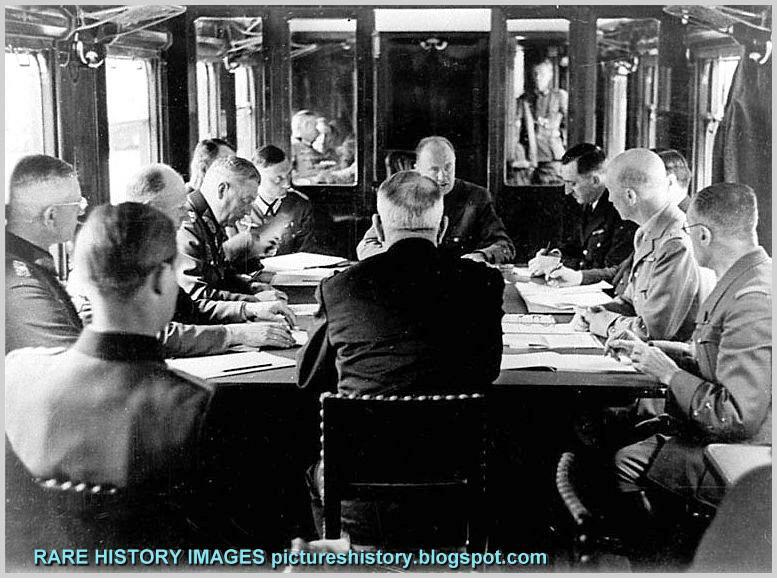 Hitler sat in the same chair in which Marshal Ferdinand Foch had sat when he faced the defeated German representatives. "War grows out of the desire of the individual to gain advantage at the expense of his fellow man." "We have failed to grasp the fact that mankind is becoming a single unit, and that for a unit to fight against itself is suicide." 'Politics is war without bloodshed while war is politics with bloodshed." "I'm fed up to the ears with old men dreaming up wars for young men to die in." "The death of one man is a tragedy. The death of millions is a statistic." "The ability and inclination to use physical strength is no indication of bravery or tenacity to life. The greatest cowards are often the greatest bullies. Nothing is cheaper and more common than physical bravery." "To walk through the ruined cities of Germany is to feel an actual doubt about the continuity of civilization." "Patriots always talk of dying for their country and never of killing for their country." Men are at war with each other because each man is at war with himself. "...Effective command no longer possible... further defense senseless. Collapse inevitable. Army requests immediate permission to surrender in order to save lives of remaining troops." "...Capitulation is impossible. 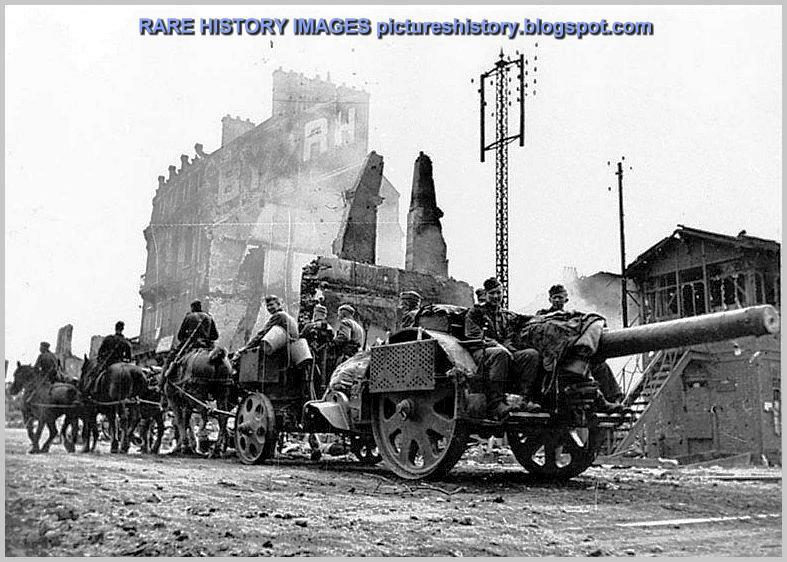 The 6th Army will do its historic duty at Stalingrad until the last man, the last bullet..."
Soviet resistance made possible a successful Allied invasion of France, and ensured the final Allied victory over Germany. It can hardly be called mere 'resistance'! If it hadn't been for the Russians, Hitler would have made mincemeat of British forces in Africa and landed on British shores in no time. Hitler attacked Russia first because it had more land and resources than Britain. It is as simple as that. This site may load slowly at times because of the numerous images. Reload the page if some of the images do not appear. --Most Popular On "History In Pictures"
Germany Did Occupy Britain During WW2! The Channel Islands At least! 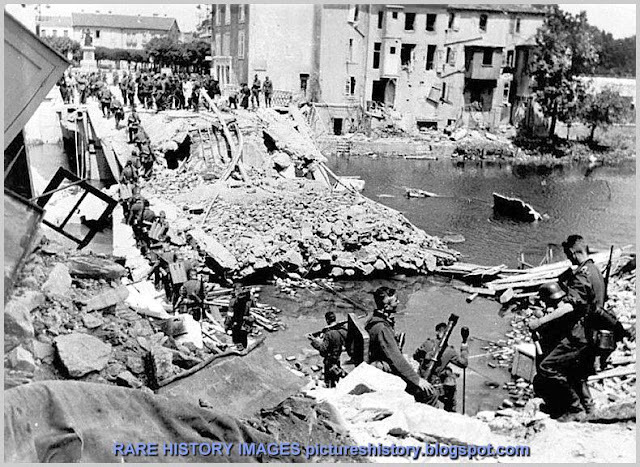 Dieppe Raid, August 19, 1942: A Waste Of Lives Or was It Worth It? Did Hitler have an atom bomb? Did Nazi Germany explode a nuclear bomb in its last days? How Did The Germans Treat Russian POWs? Second World War: The Eastern Front: Barbarossa. German Cartoons During WW2: "Lustige Blatter"
Did Nazi Germany Explode An A-bomb? Did Hitler Have The A-bomb? If you have already seen any of the images here on some other site or forum, it is very likely the source is from here. 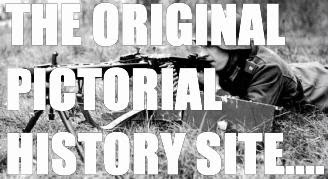 This is the original site of many rare images from war and history.